Traveling to Bali is popular among all types of international travelers. Bali is a small island located in Indonesia between Java to the west and Lombok to the east. 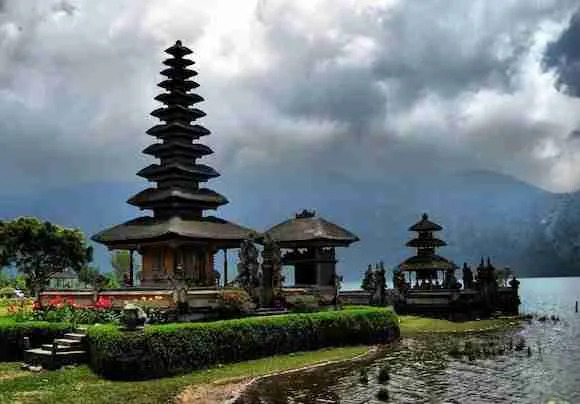 Bali offers beautiful beaches, historic temples, hikes up to an active volcano, exciting wildlife, shopping and more. It’s no wonder Bali is a popular destination in Asia. With a melting pot of culture, Bali diversity is a huge part of what makes it so incredible. There are 3 types of visas for visitors to Bali. The Visa on Arrival for Bali Indonesia, also referred to as VoA. It’s the main visa for most tourists to enter Indonesia. It has nothing to do with the newly introduced Free Visa Facility where citizens from more than 140 countries can enter Indonesia for free for tourist purposes, if they do not stay longer than 30 days. Visa in Advance – Visitors can apply for a visa before they arrive in Indonesia. Typically, this is a visitor’s visa, which is valid for 30 or 60 days. Contact your nearest Indonesian embassy or consulate to determine processing fees and times. Note: this is the only way to obtain a 60-day visitor visa, even if you qualify for Visa on Arrival (VOA). Visa on Arrival – Citizens of most countries may apply for a 30-day visa when they arrive at major airports and harbors. The cost is US$35; be sure to have the exact amount in US currency. VOA renewals for 30 days are possible. Visa Free – Citizens of most countries can receive a 30-day visa for free upon arrival. But note that this visa cannot be extended. If need more information on visa requirements if planning on going to Bali, you can visit their nearest embassy or visit this website. As a tourist you are not expected to tip in Bali. You will notice that hotels, bars and restaurants charge around 10% tax and 5% service charge on top of the prices quoted. On the other hand, Bali is still a relatively poor country. It has seen a great increase in prosperity over the last 10 years though your average worker in a bar, restaurant or hotel still gets paid very low. Bali has a tropical climate and stays hot throughout the year will average temperatures ranging from 28º C to 33º C, with little seasonal variation. The Wet Season is between the months of October – April, while the Dry Season between the months of November – March. Bali is generally a safe place to visit. Anyway, you should always be careful about yourself and your belongings while traveling. Like any other country, Bali has its scams, bag snatching and pickpockets. You should be careful. Pickpocketing is a major problem in Bali. Remember to report a crime it. Also, the police may try and charge you a reporting fee. Denpasar is the capital of Bali. Not many visitors spend much time in this bustling city. However, they sometimes stop by for shopping in Denpasar. It may not describe Bali as a tropical paradise but still this city with its distinct ambiance offers unique experience to visitors. Denpasar has a lot to offer from markets, restaurants, shopping, temples and museums. Here are a few things to see and do in Denpasar. This is a must-visit place for those who like a marine adventure. From its name, we can tell that place is filled by sharks. In this place, visitors can safely interact with the sharks. 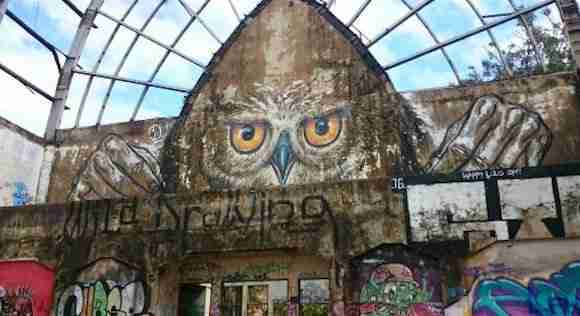 This a fun place for all ages primarily for kids. So, if you travel with your family this place should not be missed. There is a 3-hour tour that visitors can join. And there are many fun activities done during the tour such as feeding sharks, visit the turtle conservation nearby and swimming with the sharks. There is also an education center that will be useful for our kids. More importantly, all the activities are safe to do even for visitors who cannot swim. This monument is probably not the top site in Bali but it is worth-visiting when you are in Denpasar. It is located right in the hub of Denpasar. You will like the architectural design of the monument because it has some unique characteristics. It preserves the cultural value of Bali. The monument was built thirty years ago in 1987. Visitors can learn about the history, spirit, and journey of Balinese people in the past through more than thirty dioramas showing historical stories. This place offers visitors complete facilities such as large parking areas, clean public toilets, food stalls, shuttle bus, and many others. These days probably many visitors are no longer interested to visit museums because most of them think that these places are boring. In fact, not all museums are uninteresting. The Bali Provincial Public State Museum which is located in heart of Denpasar is an interesting place to visit especially for those who like to learn culture, history, and traditions. There are about 10 million of public displays exhibited in this museum allowing visitors to learn a lot of Balinese history. The architectural design of the building is also interesting. There are beautiful stone carvings reflecting Balinese history adorning the museum. Outside the museum, there is a tropical garden decorated by statues where visitors can take a short walk enjoying the surrounding. Near the museum, there is The Jagadnatha Temple allowing visitors to explore both of these attractive cultural and historical spots at once. Denpasar has plenty hotels and hostels. Here are a few places to check out and gives you an idea of what is available in Denpasar. Nestled within a large landscaped garden, Taman Ayu Townhouse boasts an outdoor pool and stylish rooms with en suite bathrooms. It provides 24-hour front desk assistance and free Wi-Fi in all areas. Guests who drive park for free. Taman Ayu Town House is situated a 10-minute drive from Teuku Umar Street where guests can find many dining options. Sanur Beach is a 15-minute drive from the property, while Ngurah Rai International Airport is 20 minutes’ drive away. Fully air-conditioned, each room features a flat-screen cable TV and a modern bathroom with free toiletries. A kitchen and a living room are available in select units. Surfer Garden is 9 minutes walk from the beach. Featuring free WiFi throughout the property, Surfer Garden offers accommodation in Denpasar. Every room at this homestay is air-conditioned and features a flat-screen TV. Sanur Beach and ferry to Lembongan Island are 5-minute drive from Surfer Garden. Ngurah Rai International Airport is 12 km from the property. Kuta is one of the most popular spots on Bali. This place is always crowded with tourists, either domestic or international. Kuta has a lot to offer from markets, restaurants, shopping, beaches and partying. Here are a few things to see and do in Kuta. Surfing is the most obvious as well as exciting thing to do here. Kuta Beach is quite well-known as a place for surfing. You will see several people riding the waves with their surfing board. This is one of the more popular things to do in Kuta Bali. The waves in this area is quite mild, which is perfect for beginners to try their skill. Have no skill to surf yet? Don’t let this reason to stop you. There is a facility available for people to learn how to surf in Kuta. Need some more actions going on for your vacation in Kuta Bali? Then come to Waterbom Bali. This is one place you certainly would not want to miss, especially when you are traveling your kids. It is one of the largest water parks you can find in the island. In this park, there are plenty of various rides such as Twin Racers, Superbowl, Python, Lazy River and many more. The facilities and services here are very complete. If you are hungry, you can go to their cafe, food court or even pool bar. Bali is also popular as a spot to view breathtaking sunset. But, to make it more delicate, how about enjoying the view while having some delicious drinks. If you are looking for this pleasure, visit Ku De Ta. It is an outdoor bar that offers you a magnificent scenery of the sea. The view is more outstanding during sunset, and you can enjoy it while making yourself in comfort with some tasty drinks. Bali is a good place to educate yourself about sea turtle. 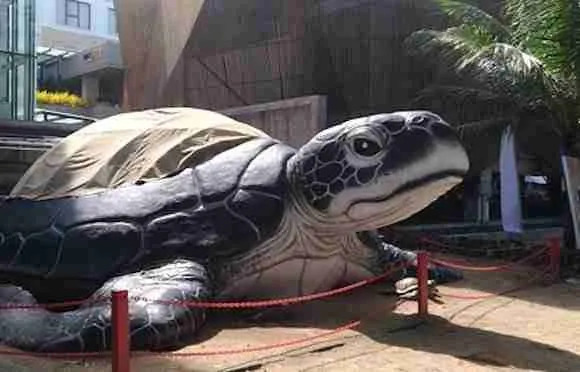 And, you can learn about it in Giant Sea Turtle Statue (Patung Penyu Raksasa). The location is right beside the office of Kuta Beach Task Force. This is a place specialized for sea turtle cultivation. The purpose of this facility is to increase the number of sea turtle, which are decreasing from time to time. In this place, we can directly see the process of how the staff take care of all the sea turtles. It is even possible to witness a sea turtle hatching from the egg. Furthermore, you may also have the opportunity to release the sea turtle babies back to the ocean. So, if you are a turtle lover, then this is a must-visit place for you. Kuta has a good variety of guest houses, hostels and hotels. Here are a few places to check out and give you an idea of what is available in Kuta if you are planning to visit Kuta. Rooms are air-conditioned and fitted with a flat-screen cable TV, safety deposit box, desk and seating area. Grandmas Plus Hotel Airport is 15 minutes’ drive from central Kuta and Kuta Beach while it is 25 minutes’ drive from Ngurah Rai International Airport. Cara Cara Inn is 3 minutes walk from the beach. Strategically located in Kuta, Cara Cara Inn offers accommodation with an outdoor pool and a restaurant. Free WiFi is accessible in all areas and free parking is available on site. Simply furnished, rooms at Cara Cara Inn are fitted with air conditioning, a personal safe and a cable TV. The nearest airport is Ngurah Rai International Airport, 2 km from the property. The property operates a 24-hour front desk and the staff can arrange airport shuttle at additional charge. The Tusita Hotel is 3 minutes walk from the beach. Located a 10-minute walk from Waterbom Water Theme Park, The Tusita Hotel features an outdoor pool, restaurant and 24-hour front desk. Free Wi-Fi is provided throughout the building. Each air-conditioned room comes fitted with a flat-screen cable TV, tea/coffee-making facilities and a personal safe. The Tusita Hotel is a minute’s walk to Lippo Mall and a 10-minute walk from Segara Beach and the shopping district along Kartika Plaza Road. Kuta Art market is a 15-minute walk from the property, while Ngurah Rai airport is just a 5-minute drive away. Unlike Kuta which is always crowded, Sanur is a lot more peaceful and understated. And, there are plenty of things to do in Sanur with your family and friends. Sanur has a lot to offer mainly water activities but there is also from restaurants, temples and beaches. Here are a few things to see and do in Sanur. As we have mentioned before, compared to Kuta, Sanur is a lot more peaceful. There are not as many people around the beach. Hence, take the opportunity to relax and enjoy the beautiful ocean view. Since there are a few beaches in Sanur, you can choose the one that suits you the most. Depending on which place you choose, you might find some restaurants nearby to get food and drinks (or simply use the toilet). Some of you might have heard about the sea swings in Gili. Now you can enjoy the same thing at Sanur. It is in Mertasari at Dream Island Bali to be exact. Naturally, the swings are not the only special thing in this place. The beach itself is quite popular for swimming with its beautiful scenery. Do you like something scary? Then try to visit Taman Festival. This is supposed to be a large recreational park. Unfortunately, the construction was stopped and abandoned. If you want to do more than relax at the beach, then there is no better spot than Blanjong Temple. At this temple, you will be able to see the Blanjong Pillar. This is the oldest artifact ever known in Bali dated from 914AD. Of course, this pillar is not the only thing to see in the temple. There are other relics as well like the sandstone statues of the Hindu Lord Ganesh and some animals. You may visit this national cultural heritage site on Danau Poso Street. This property is 3 minutes walk from the beach. Featuring stylish rooms and an outdoor pool, Maison Aurelia Sanur, Bali is set in the real heart of Sanur, 600 m from Sanur Beach. Free Wi-Fi access. Guests who need assistance can contact the 24-hour front desk. The staff can arrange bike hire, laundry and dry cleaning at a surcharge. Matahari Terbit Beach is 2.7 km from Maison Aurelia Sanur, Bali, while Serangan Turtle Island is 6 km away. The nearest airport is Ngurah Rai International Airport, 12 km from Maison Aurelia Sanur, Bali. Puri Mango Hotel offers laundry and dry-cleaning services. Safety deposit facilities can be found at the 24-hour front desk. Puri Mango Hotel is a 30-minute drive from Ngurah Rai International Airport. It takes 5 minutes on foot from the city centre. This property is 2 minutes walk from the beach. Located in Sanur, Wisna House features free Wi-Fi, and guests can enjoy a garden and a terrace. Serangan Turtle Island is 6 km from Wisna House, while Le Mayeur Museum is a 9-minute walk away. The nearest airport is Ngurah Rai International Airport, 12 km from the property. Ubud is a laid-back place which full of culture and nature tranquility. 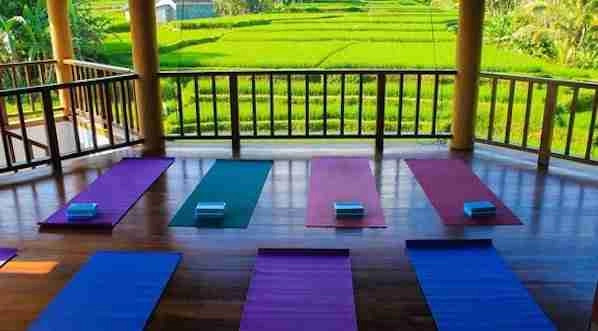 Most people visit Ubud to join a yoga class, indulge in relaxing spa or walking through rice fields. However, behind the quiet ambiance and tranquility, there are wonderful things to do in Ubud which you cannot find in other places on the island. 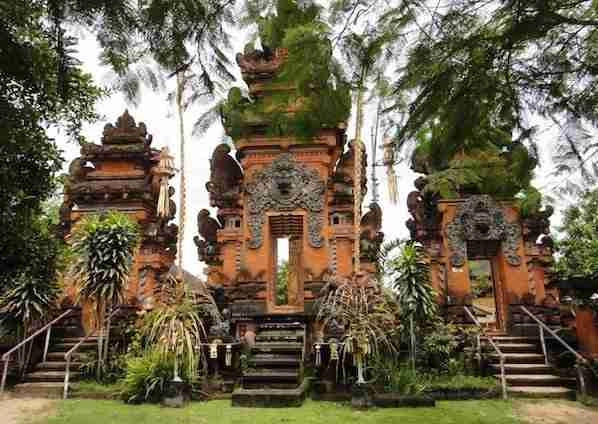 Ubud is famous for the capital of culture of Bali as most art galleries are concentrated in the town. If you are an art lover, a museum visit is something not to be missed. Here are the lists of the museum to visit in Ubud. Ubud is full of the spiritual world. There is nothing better to enjoy its tranquility than join yoga class. There are numbers of Yoga studio you can join whether you are a beginner or expert. Art and cooking class is a popular activity in Ubud. Art class includes jewelry making, batik making, paintings, and much more. While cooking class usually includes Balinese cuisine cooking class, Indonesian cuisine, vegetarian food and even international fusion cuisine. The cooking class normally includes a market visit and hands-on cooking. 5 minutes’ drive from Ubud Palace, Secret Garden Guest House features Balinese style housing with a garden. Guests can arrange hiking and cycling activities through the house keeper. Free Wi-Fi is provided throughout the property. Secret Garden Guest House is a 5-minute drive from Ubud Art Market and is 10 minutes’ walk to Ubud Monkey Forest. Day tours and airport transfers can be arranged at the guest house. Shuttle services are also available upon request. It takes a 10-minute walk from the property to Ubud Market and a 5-minute drive to the famed Bebek Bengil Restaurant. Getting to Bali Denpasar International Airport will take around 1.5 hours by car. Each room here will provide you with air conditioning, a balcony and a terrace. You can enjoy mountain view and city view from the room. Extras include a seating area. Other facilities offered at the property include laundry facilities. Overlooking Tjampuhan River and terraced rice paddies, Ulun Ubud Resort is located in Sanggingan Village, a 15-minute drive from Ubud Centre and a 15-minute drive to Monkey Forest. It offers a restaurant, lounge bar & library and an outdoor swimming pool. Guests enjoy free scheduled shuttle service and free afternoon tea daily. After a day of exploring the neighbourhood on a rented bicycle, guests can unwind with a massage. Ulun Resort also provides Wi-Fi free of charge in all areas. Seminyak is the home for high-end accommodation, world-class restaurants, shopping boutiques, beach clubs and rooftop bars. 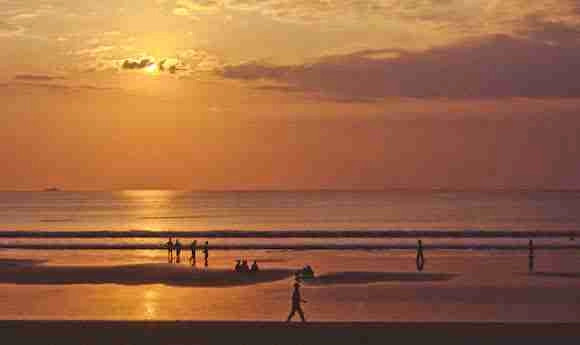 Located in the same coastline as Kuta Beach, however, Seminyak is less crowded and touristy. There are many reasons to come to Seminyak especially for the good waves, magical sunset and also amazing beach clubs, bars, and cafes. If you are also thinking to visit Seminyak. Here is a few things to do in Seminyak. Similar to the neighbour Kuta Beach, Seminyak is also famous for the good waves. Many surfers all over the world come to beach to tame the wave. No worries if you are in the beginner level because there are surfing class to sign up. You can opt for surfing class with professional instructor but expect the price to be a bit expensive. If you do not wish to surf, you can try pedaling which is also a popular activity in Seminyak. 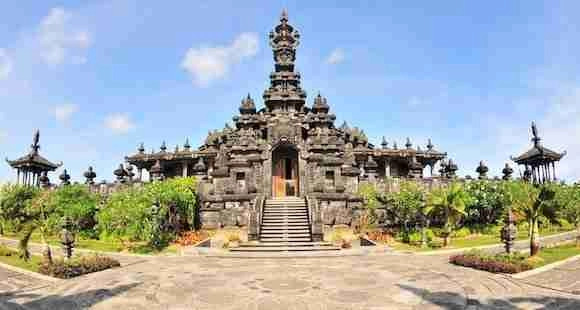 Most of temples or Pura in Bali are open for public visit. The place is great for self-reflection even though you are not a Balinese people. The quiet ambience of the Pura gives you time to think about life, count your blessing, and get rid of negativity. The famous pura in Seminyak area is Pura Petitenget and Pura Masceti. If you are lucky, you can also see some ceremonies as well. Seminyak has a good variety of guest houses, hostels and hotels. Here are a few places to check out and give you an idea of what is available in Seminyak if you are planning to visit Seminyak. This property is 10 minutes walk from the beach. Set in Seminyak, Bali region, Lotus Tirta Seminyak is located 1.1 km from The Seminyak Square Shopping Mall. Featuring an outdoor swimming pool, the 3-star hotel has air-conditioned rooms with free Wi-Fi. The property is close to popular attractions like Ku De Ta, Petitenget Temple and Oberoi Street. At the hotel, every room includes a wardrobe and a flat-screen TV. Each room comes with a private bathroom with a shower, while certain rooms also offer pool views. This property is 2 minutes walk from the beach. Centrally located in Seminyak and Suites offers luxury suites surrounded by tropical gardens. The property also has villas, all are located 300 m from the main lobby area. The hotel features an outdoor swimming pool, an art cafe and bicycle rental services. Free Wi-Fi is available. The air-conditioned suites are decorated with natural colors and art works. They come with a wide-screen flat-screen TV, DVD player and a safe. A minibar and coffee & tea set are also provided. Select suites feature an outdoor dining area and a daybed. This property is 18 minutes walk from the beach. M suite offers modern comfort 500 m from one of Seminyak’s main streets. Featuring an outdoor pool with a sundeck, it also provides free Wi-Fi access throughout the property. A 5-minute drive from Double Six Beach, M Suite is a 10-minute drive from Kuta area and a 20-minute drive from Ngurah Rai International Airport. Fitted with a private terrace or balcony, air-conditioned rooms are well appointed with a flat-screen satellite TV, in-room safe and an electric kettle. Bath or shower facilities are included in the private bathrooms. Finally, once you visit Bali, you will have plenty of things to visit, explore, discover and with many more things to do in Bali. Perhaps, you can explore in your own way when you get there. All you have to do is to choose the activities you prefer and start enjoying what Bali has to offer. And that’s it for now! Let me know if you have any questions and let me know if you go too. 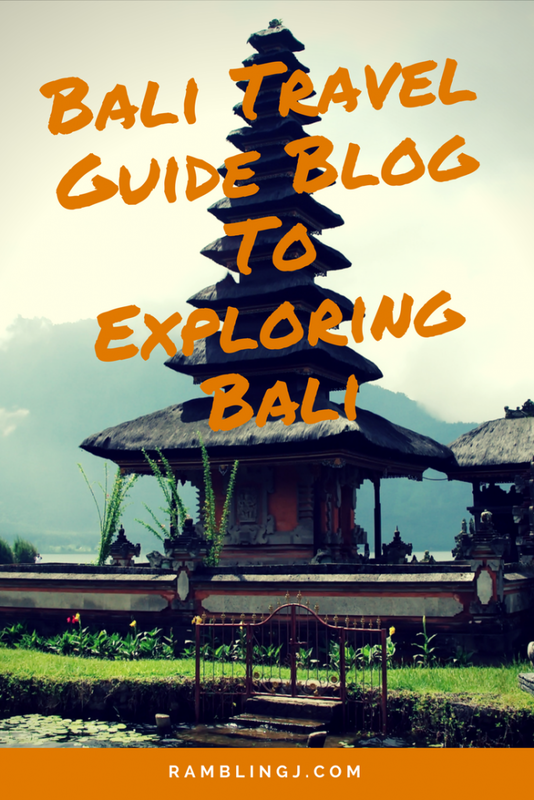 I’d love to know if this guide on the Bali Travel Guide Blog To Exploring Bali has helped you. Yоu are guаrаntееd that you will go home with many some awesome memories of Bali.